Con el fin de apoyar a los nuevos participantes del Desafío STEM 2017, Arduino y Telefónica se han unido para crear una serie de tres podcast, abiertos al público en general, conducidos por David Cuartielles. Desafío STEM es un concurso interescolar que fomenta el desarrollo de competencias tecnológicas, creado por Telefónica Educación Digital para impulsar la implantación de nuevas formas de aprender a través de dinámicas motivadoras y fomentar las vocaciones STEM. Cómo crear proyectos creativos usando tecnología digital. Identificación de problemas técnicos en la creación de proyectos. Nuevos usos de tecnología en el aula. David responderá durante el podcast preguntas de la audiencia que se envíen antes de los podcast. Para enviar las preguntas, seguir el link que se presenta a continuación y llenar el formulario: http://verkstad.cc/urler/desafio-preguntas. También se podrá participar en twitter con el hashtag #desafiostempreguntas. 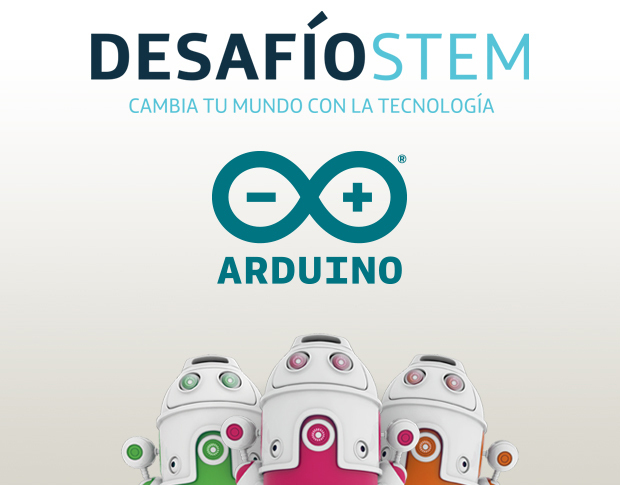 To support the new participants of Desafío STEM 2017, Arduino and Telefónica have come together to create a series of three open podcasts, conducted by David Cuartielles. Desafío STEM is an interscholastic competition that promotes the development of technological competences, created by Telefónica Educación Digital to promote the implementation of new ways of learning to motivate and inspire students to pursue STEM vocations. How to build creative projects using digital technology. Identification and resolution of technical challenges in the creation of projects. New uses of technology in the classroom. David will answer questions from the audience during the podcast, which need to be sent beforehand via this link: http://verkstad.cc/urler/desafio-preguntas. Twitter users can also participate using the hashtag #desafiostempreguntas. EMoRo now part of AtHeart! We’re excited to welcome Croatian startup Inovatic ICT and its EMoRo Kit to our AtHeart program! EMoRo (Educational Mobile Robot) is an Arduino-compatible robot designed to encourage logical thinking and technical curiosity in a fun, engaging way. The solder-free DIY kit consists of a robust aluminum chassis along with easy-to-connect components like servos, sensors, and relays. It also supports other construction sets like LEGO Technic, Eitech, and Fischertechnik. Based an ATmega250 board, EMoRo can be programmed using the Arduino IDE and upgraded with the addition of interchangeable modules, such as Bluetooth for Android device control, an LCD display, push buttons, and an accelerometer, gyroscope and compass for navigation. Built-in safety features include step-down regulators, thermal shutdowns, under-voltage lockouts, and cycle-by-cycle over-current protections–all of which make the EMoRo rugged enough for beginners, yet versatile enough for advanced Makers. EMoRo originated as a result of our vision to create a tool that would introduce the world of robotics to children and spark their interest in technology and programming. With that vision in mind, we have decided to use the programming platform Arduino, as the world’s most used and popular programming platform when it comes to programming small educational robots. 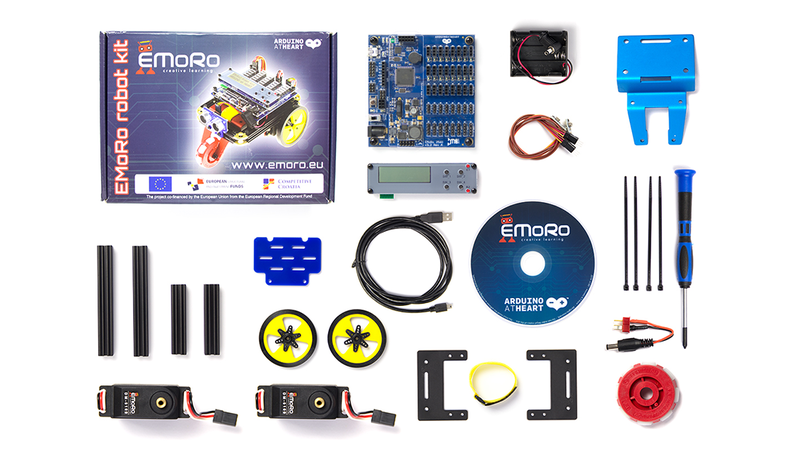 Interested in EMoRo for your next robotics competitions or as a tool in your STEAM class? You can now buy a kit here! You’ve heard it before, smoking is bad for your health. However, despite the countless warnings, millions of people continue to use cigarettes–including 7th grade student Petter’s dad. 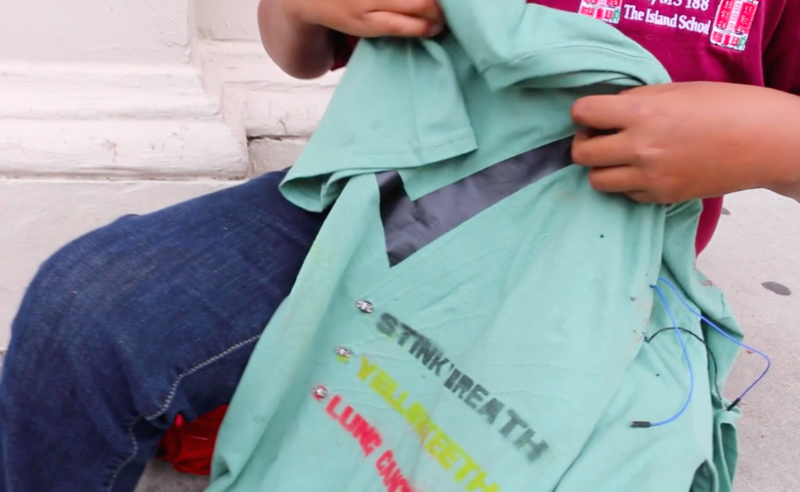 Mindful of this, the young Maker came up with a new way to shame smokers into quitting. Lately I’ve been struggling with the STEM/STEAM approach to teaching computational technology. It assumes you’re either an artist, scientist, or engineer. What about the rest of us? I meet plenty of people who don’t fit any of these categories, yet who use programming and electronic devices in their work. I’m looking to understand their perceptions of how these technologies work, and how they fit into their practices. In this talk, I tried to explain some of what I’ve noticed by observing and working with people from different backgrounds, and to review some of the current tools for teaching a general audience. Ultimately, I want us to get to a point where we use programming tools in the same way as we use language. We all use language, but we’re not all language-using professionals. We use it casually, expressively, sometimes professionally, in a thousand different ways. We don’t follow all the rules, yet we work together to share a common understanding through language. We’re starting to do the same with media like video, audio, and images as well. Maybe we can get there with programming and computational thought, too. 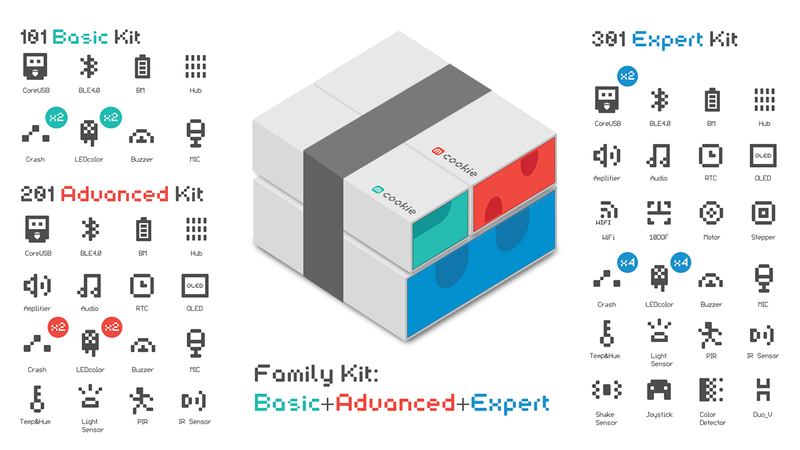 Engadget giveaway: Win an mCookie Family Kit courtesy of Microduino! Getting your STEM skills up to speed is now easier than ever with Microduino's mCookie. These Arduino-compatible electronics kits make building mini machines a snap -- literally -- with magnetic connectors and interlocking pins that match up with LEGO blocks. The mCookie family of DIY modules, sensors and accessories was Kickstarted back in 2015 and began shipping to consumers at the end of the year. 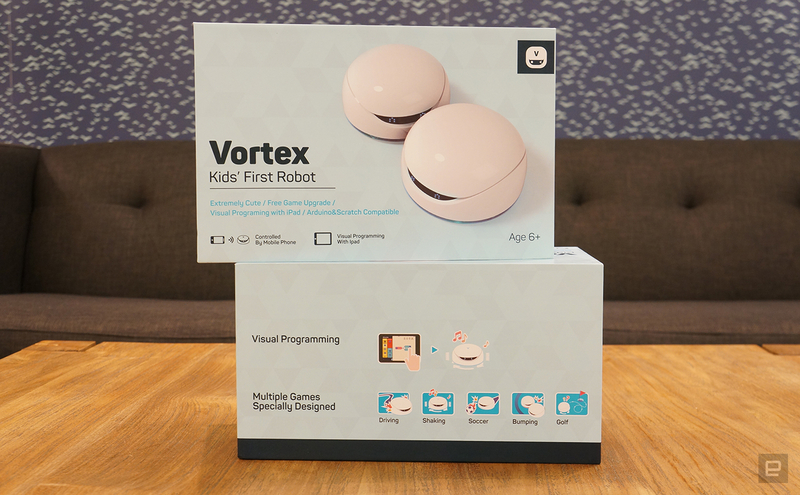 Now anyone can pick up one of the various kits (Basic, Advanced or Expert) and assemble projects like a music box, voice-activated camera, paw-waving fortune cat and more. Microduino also offers additional components to expand the possibilities to keep pace with your imagination. This week, one lucky reader will win a Family Kit (including all three mCookie sets) to launch their smart-machine-making career. Just head down to the Rafflecopter widget below for up to three chances at winning. Winner: Congratulations to Robin B. of Chico, CA! Getting your STEM skills up to speed is now easier than ever with Microduino's mCookie. These Arduino-compatible electronics kits make building mini machines a snap -- literally -- with magnetic connectors and interlocking pins that match up with LEGO blocks. The mCookie family of DIY modules, sensors and accessories was Kickstarted back in 2015 and began shipping to consumers at the end of the year. Now anyone can pick up one of the various kits (Basic, Advanced or Expert) and assemble projects like a music box, voice-activated camera, paw-waving fortune cat and more. Microduino also offers additional components to expand the possibilities to keep pace with your imagination. This week, one lucky reader will win a Family Kit (including all three mCookie sets) to launch your smart-machine-making career. Just head down to the Rafflecopter widget below for up to three chances at winning. Engadget giveaway: Win a pair of Vortex robots courtesy of DFRobot! Since most kids have already mastered the art of iPad password cracking and in-app purchasing, we should probably give them something productive to do. The arduino-based Vortex from DFRobot is a STEM-reinforcing plaything that can help kids learn to code. It comes with preinstalled programs, so you can have fun racing, bumping and spinning right out of the box, but the variations are endless. Open-source hardware and the WhenDo app's graphical programming interface mean the sky's the limit with Vortex. These little bots are laden with proximity and ground sensors, LEDs and speakers — not to mention all the optional add-ons — to help bring them to life. 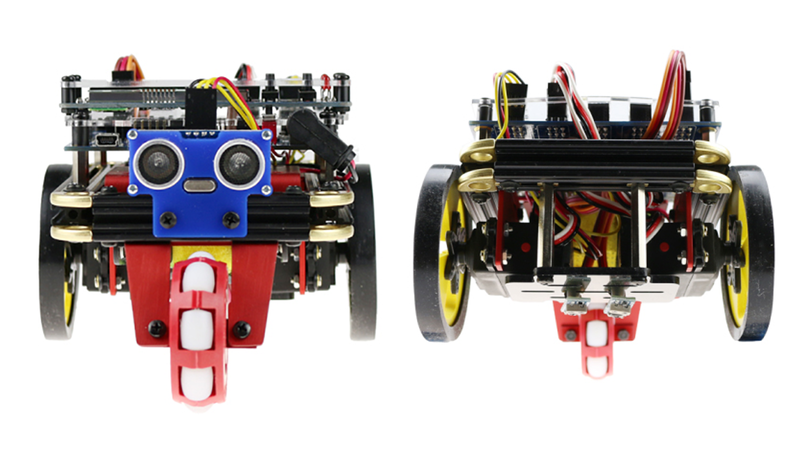 DFRobot has given us a pair of two-robot packs for a couple lucky Engadget readers this week. All you need to do is head to the Rafflecopter widget below for up to three chances at winning this hackable robot duo. Since most kids have already mastered the art of iPad password cracking and in-app purchasing, we should probably give them something productive to do. The arduino-based Vortex from DFRobot is a STEM-reinforcing plaything that can help kids learn to code. It comes with preinstalled programs, so you can have fun racing, bumping and spinning right out of the box, but the variations are endless. Open-source hardware and the WhenDo app's graphical programming interface mean the sky's the limit with Vortex. These little bots are laden with proximity and ground sensors, LEDs and speakers — not to mention all the add-ons — to help bring them to life. DFRobot has given us a pair of two-robot packs for a couple lucky Engadget readers this week. All you need to do is head to the Rafflecopter widget below for up to three chances at winning this hackable robot duo. One Maker’s experiment in robotics results in an insatiable cereal transport system using Arduino, 3D printing, and Rice Krispies. The post This Cereal-Stealing Robot Will Swipe Your Breakfast appeared first on Make: DIY Projects, How-Tos, Electronics, Crafts and Ideas for Makers. 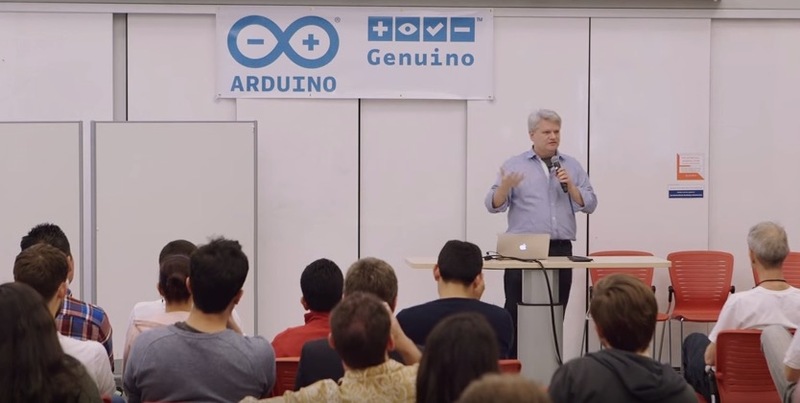 A lot of hacker projects start with education in mind. The Raspberry Pi, for example, started with the goal of making an affordable classroom computer. The Shrimp is a UK-based bare-bones Arduino targeted at schools. We recently saw an effort to make a 3D printed robotic platform aimed at African STEM education: The Azibot. Azibot has 3D printed treads, a simple gripper arm, and uses an Arduino combined with Scratch. Their web site has the instructions on how to put together the parts and promises to have the custom part of the software available for download soon. We’d bet most Hackaday readers won’t need the software, anyway. The robot clearly uses RC servos for the drive and the little arm at the front, so controlling it directly from the Arduino ought to be easy enough. If you don’t want to roll your own, Senegal-based Azibot is taking preorders for kits for $99. We were a little surprised you couldn’t kick in a little more when you ordered to subsidize other kits for schools in need. We talked about another low-cost school aimed project, the Shrimp, If you think the needy schools won’t have 3D printers, maybe this 3D printer could come to the rescue.